The "Age of Dinosaurs" lasted from about 230 million to 65 million years ago. And yet, these formidable reptiles continue to captivate us even today. 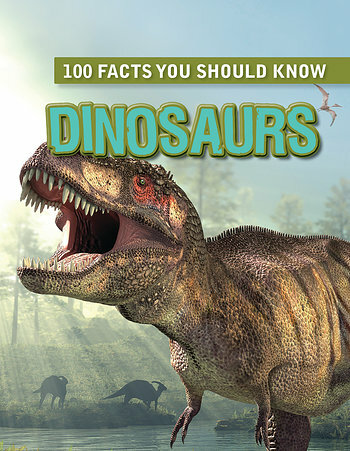 One hundred high-interest facts about the extinct creatures called dinosaurs cover many topics, such as evolution, adaptations, and fossils, and many species, including Spinosaurus, Tyrannosaurus rex, and Stegosaurus. Fun quizzes, clever crafts and activities, beneficial diagrams, and vivid photographs and illustrations keep readers actively engaged as they turn the colorful pages. This attention-grabbing volume is a must-read in any science collection.